Few places in New England match the raw natural beauty of Massachusetts’ seashore. 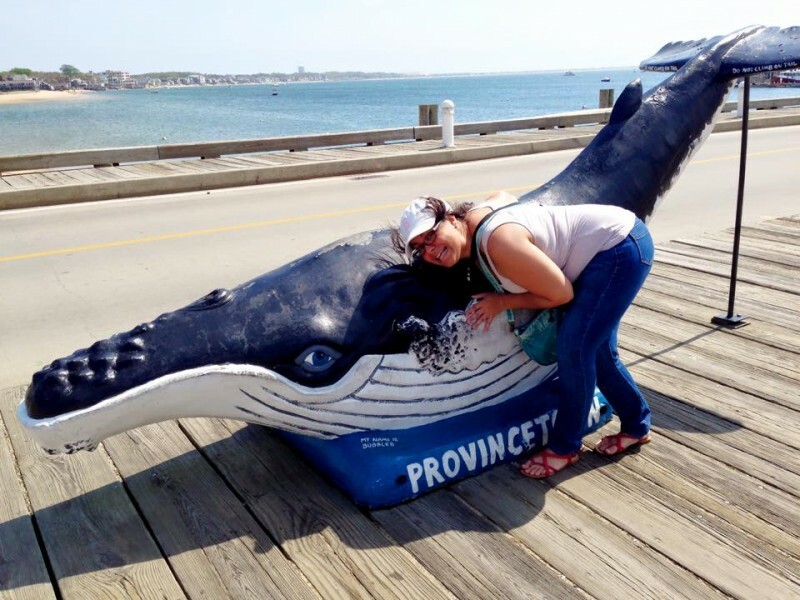 And few places along the coastline are more quaint, fun, and adventurous than Provincetown. The Cape Cod National Seashore is quite literally a national treasure. Really — that distinction was codified by JFK in 1961 to officially protect more than 43,000 acres of beachfront, ponds, and woods of Massachusetts coastline. Hiking the dunes is arguably the best way to explore it because you’ll always see more on foot and the entire coast is staggeringly beautiful. Don’t miss a hike — a walk really — out to Race Point Lighthouse. The two-hundred-year-old lighthouse is an icon of the P-Town shoreline. For travelers who book well in advance, the beautifully restored Keeper’s House is also available for overnight and weekly stays. But … it’s a massive area and, unless you have a few days (or a week) to explore, it can feel overwhelming. Art’s Dune Tours provides a great alternative. 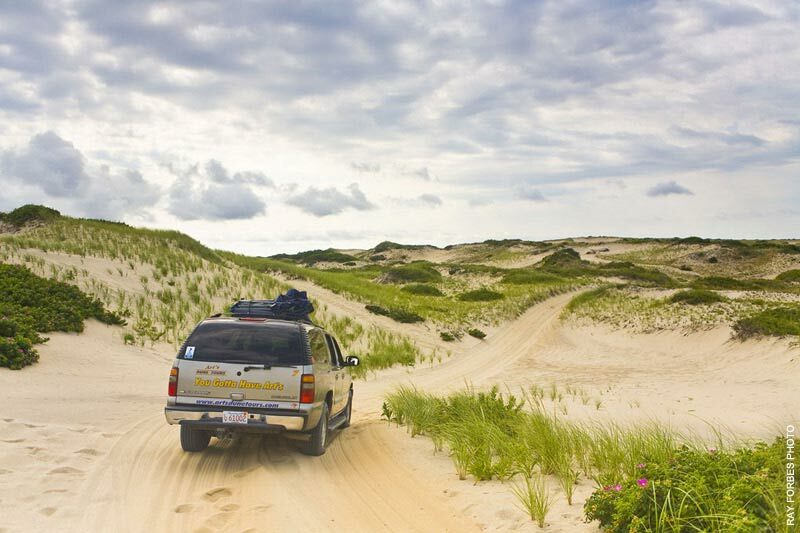 Professionally narrated tours are provided through the dunes via the company’s air-conditioned Suburban SUVs. One-hour and half-day tours are available, although we’d opt for the sunset tour because … sunset. The coastal waters of New England are well-known as some of the most whale-rich in the Atlantic. Hop aboard a purpose-built Dolphin whale watching ship with Dolphin Fleet Whale Watch — a company which has the claim to being “New England’s First and Finest Whale Watch.” Their fleet provides professionally guided tours of Stellwagen Bank National Marine Sanctuary — a world-renowned marine sanctuary that’s home to minke whales, finback whales, sei whales, and pilot whales, plus dolphins and porpoises. On a three-hour tour with them on any given day, it’s possible to spot all of the above! 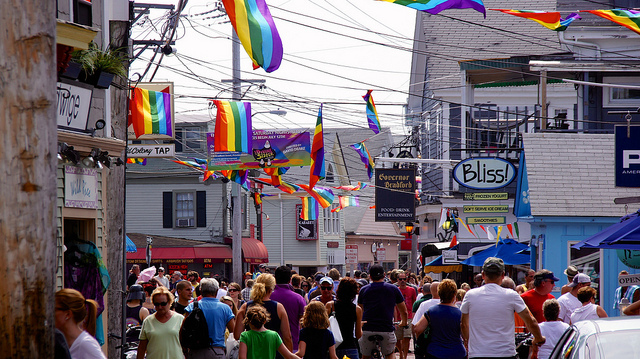 Commercial Street is the beating (and touristy) heart of Provincetown. You can’t visit the town without seeing the strip. The town proudly embraces anyone with a lot of character and the strip provides some of the best people-watching in the Northeast. 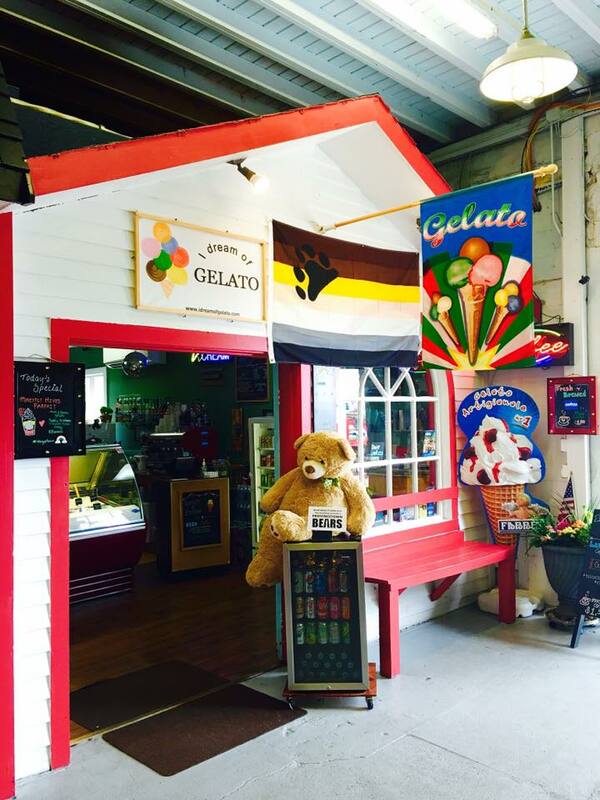 So, bring your camera, open your mind, and grab a frozen treat from the aptly named I Dream of Gelato. The long-standing gelateria serves a extensive list of housemade gelatos including staples like Cookie Dough and Coffee, plus specialty flavors like Chocolate Madness, Banana Killer, and Nutella (but, really, if you know Nutella is on the menu, just put the damn menu down …). There’s also sorbetto, vegan options, and specialty coffee. Did I mention the Nutella? If you’re a fan of The Goonies and International Talk Like a Pirate Day, you have a friend in us. But, sadly, there’s only one museum in the entire world dedicated to a sunken pirate ship. Not-so-sadly, it’s located in Provincetown. National Geographic’s Whydah Pirate Museum is a tiny but altogether fascinating museum run by a friendly and super-enthusiastic group of folks. 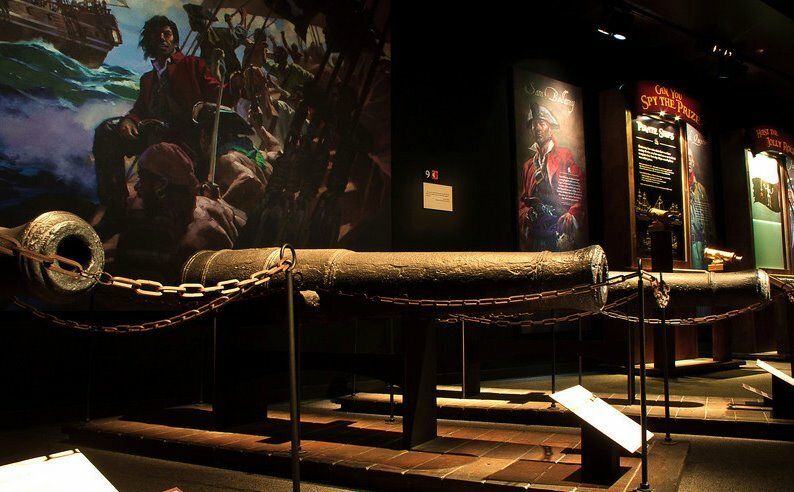 There are a replica pirate ship to explore, 300-year-old coins, authentic pirate pistols & sword pieces, and a handful of interactive, pirate-related exhibits. Admission is $18.50 (adults) and it’ll take you less than 45 minutes to tour the whole thing, including chatting up the staff and shopping the gift stand for fake gold doubloons. There’s no shortage of ways to enjoy the beauty of the Massachusetts coastline. But, one of our hands-down favorites can be found at The red Inn. 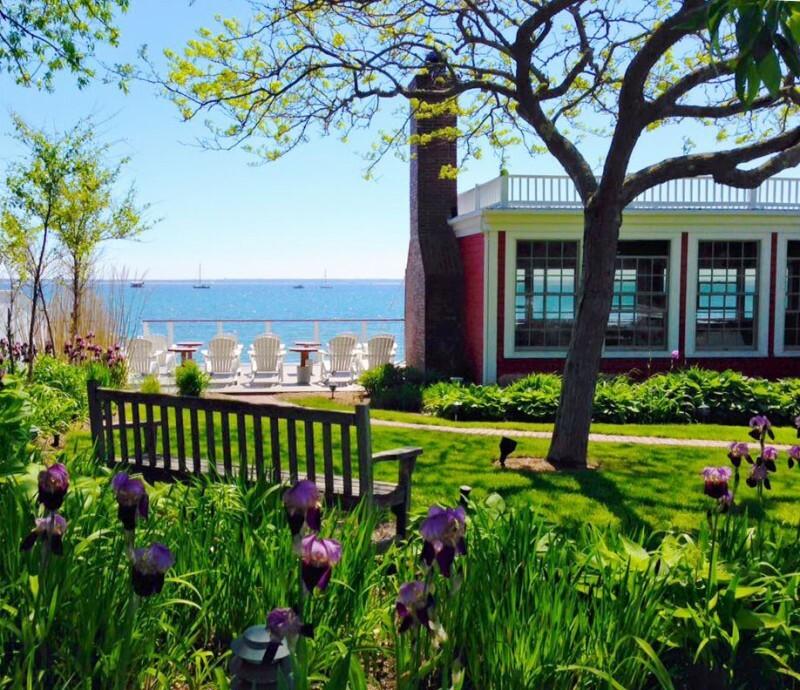 This iconic Provincetown restaurant/hotel is a local institution. It was built in 1805 by Captain Freeman Atkins for his wife and much of the beautiful, original architectural detailing remains. As a hotel, it’s pricey — though we would argue it’s well worth the splurge. 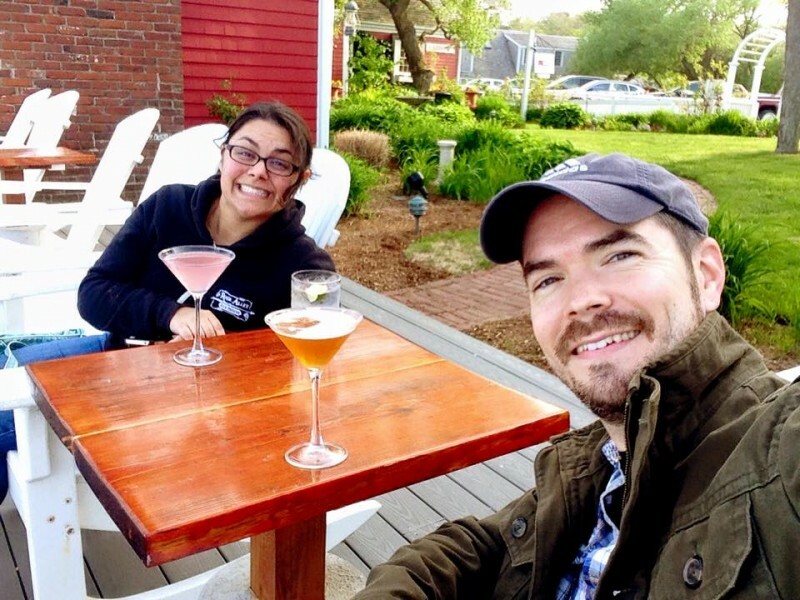 But, for “average folk” like us, just grabbing a properly poured cocktail at the quaint bar and relaxing in an Adirondack chair on their outdoor deck overlooking Provincetown Harbor is all you need after a long day of exploring P-Town. Our #1 choice for lodging in Provincetown is Land’s End Inn (no surprise, really, as it’s consistently ranked #1 on TripAdvisor as well). Particularly for couples, it’s a no-brainer. 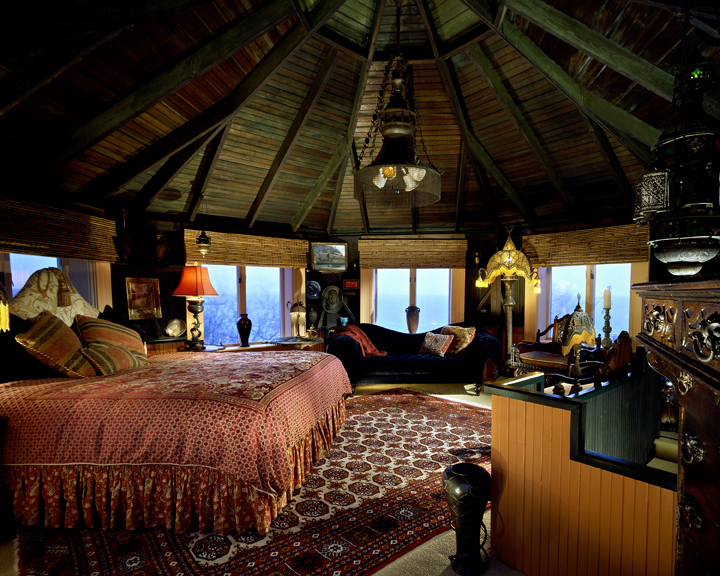 It’s quaint, romantic, charming, and luxurious, but not stuffy. Think of it as a bed-and-breakfast for non-B&B-lovers (like us). Each of the 18 rooms is uniquely designed, but all feature plenty of privacy and luxurious amenities like pillow-top mattresses, plush bathrobes, flat-screen TVs, and free Wi-Fi. But for us, the real win is the ridiculously amazing view from the meticulously landscaped garden — one of the highest vantage points in all of Provincetown. The delicious deluxe breakfast every day is pretty sweet too (and it’s free!). For a more budget-friendly option, check out Harbor Hotel Provincetown. We’ve previously covered the hotel before and it remains one of our favorite go-to accommodations. 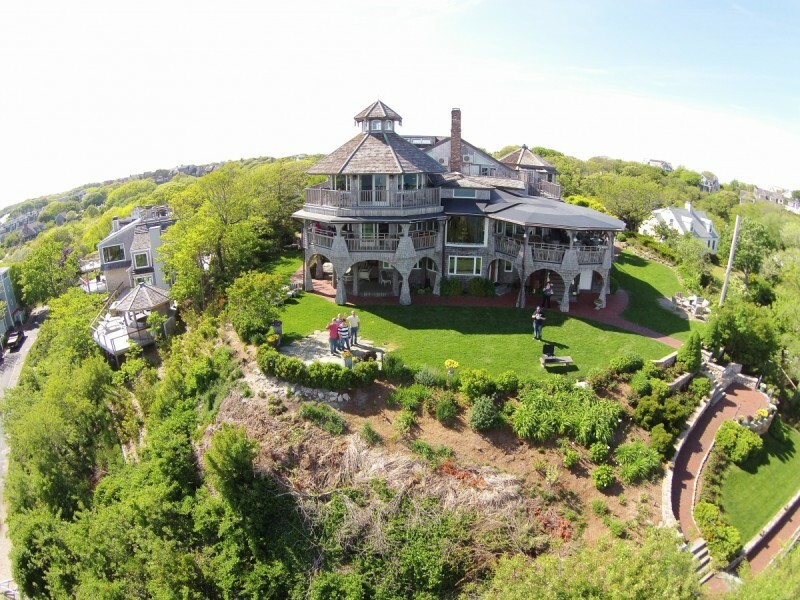 It has plenty of vintage charm and is situated right on the beach — what’s not to like? Disclosure: Vagabondish was provided complimentary travel/activities in Provincetown in advance of this post. Read our view on sponsored content.